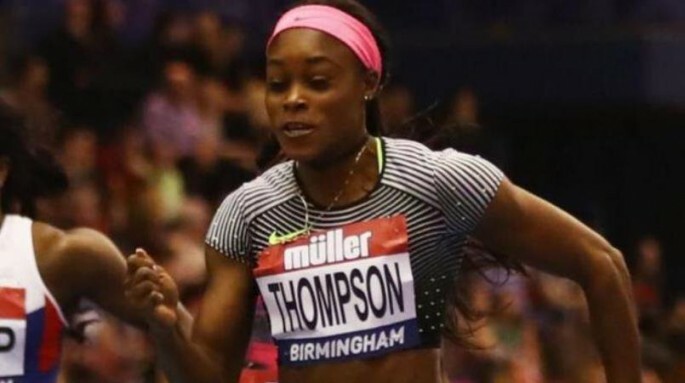 Thompson had a slow start for the race but managed to speed up in the 80-meter mark and overtake her competitors to set a time of 10.78 seconds, India Express reported. The time is the world's fastest for this season. The Olympian expressed happiness over her performance despite the slow start. She admitted that she didn't have an explosive start in the race, but was still satisfied with the way the race went for her. This is the second win in the 100-meter event for Thompson this season. She has also earlier won the women's 200-meter run in the Doha leg of the Diamond League. When asked about whether she plans on winning a second 100-200 meter double win at the London world championships in August, she said that it was up to her coach to decide. The 24-year-old runner first made the feat in 2016 after bagging the golds for the two events in the Rio Olympics. However, Thompson said that her eyes are set to upcoming Jamaica Invitationals later in May before returning to world championships preparations. Thompson bested Tori Bowie of the United States by a mere 0.28 seconds, with Marie-Josee Ta Lou from the Ivory Coast coming in at third. In other events, Thompson's countryman and fellow Olympian Omar McLeod dominated the 110-meter men's hurdles, registering a time of 13.09 seconds, China Sports Beat reported. McLeod was able to overtake defending world champion Sergey Shubenkov and world record holder Aries Merritt. Shaunae Miller-Uibo further cemented Jamaica's dominance, winning in the women's 400-meter race and setting this year's fastest time at 49.77. China also showcased its prowess, with Su Bingtian winning in the men's 100-meter hurdles with a time of 10.09 seconds.